Virtualization has changed how big business operates, but legacy apps are still common. Antonio Piriano, the CTO at ScienceLogic, a cloud management company, says the Software as a Service (SaaS) model will apply to legacy apps just as much as it does to data and servers in 2013. That means not having to run—or maintain—legacy apps in a data center. While you might still depend on legacy apps, you won't run them the same way or manage them in your own data centers. The brightest thinkers in technology have predicted the demise of apps for some time. Doug Pepper with InterWest Partners, venture capital firm, says apps will transform into intelligent agents that know about our preferences, location—even the time of day and our schedule. We won't need a weather app anymore, or even a widget. Instead, the phone will customize the home screen to feed only the data we need based on our own customizations. That means not having to manage hundreds of apps. 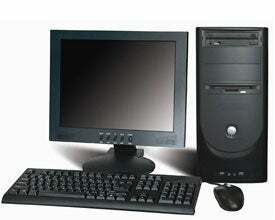 ScienceLogic's Piriano says the desktop will die in 2013 as more companies move to a virtual desktop in the cloud—benefiting from centralized control in the process. Blog: Windows Phone to Pass BlackBerry, but Does It Matter? 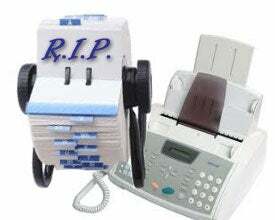 The desktop phone in your cubicle might be on its last leg. Adam Hartung with consultancy Spark Partners says the big technology fail of 2013 will be the traditional corporate PBX system—those desk phones that tie into a corporate data center.